1992-2014 -- The Deer Lake Canoe Clinic! The Deer Lake Canoe Clinic began offering canoe training to Scouts and Scouters 1n 1990. Roger Smith started the program as “in-house” training for Troop 777 Venture Scouts offering the American Red Cross Fundamentals of Canoeing class. The program quickly grew into a District training opportunity for all area Troops. Word got out and the program really began to take off. An Advanced Fundamentals class and an Instructor Class were added in 1994 and the first Fundamentals of Kayaking class was added in 1996 as well as program changes to accommodate our LDS Scouts. 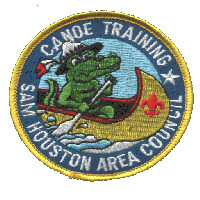 American Red Cross Basic Water Rescue and Small Craft Safety Classes were added in 1998 along with the Texas Parks and Wildlife Department Boater Basics program. The program hosted Troops, Posts and Ships attending from all over our Council and neighboring Councils. The Deer Lake Canoe Clinic was available to all registered Boy Scouts, Venture Scouts, and leaders. Girl Scouts were welcomed too. From 1992 to 2014, over 4,000 Scouts and Scouters attended the Deer Lake Canoe Clinic. A few years ago, our Council dropped the requirement for adult flat water training. Interest in our programs continued though and participation, especially Scouting youth, actually increased. Our spring and fall clinics remained popular and were almost always sold out! Unfortunately it became more and more difficult for us to operate our programs at Camp Strake. There were no real alternatives the council offered. 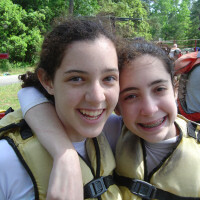 In 2013 we chose to pull all our programs from Camp Strake and moved the canoe program to GSUSA facilities. 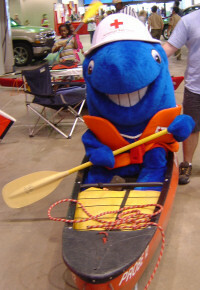 The American Red Cross dropped support for the Fundamentals of Canoeing program in 2008. We continued to operate the program here in Houston as a Chapter Supported program. Unfortunately, all ARC support for the existing canoe program was terminated in 2014 leaving us without a certification class! A basic level skills class similar to the ARC Fundamentals of Canoeing program but based on BSA Paddle Craft Safety. An advanced skills class with perhaps a moving water component. We will announce the new program on our webpage by mid-August and we are planning our first test class perhaps September 26-28, 2015. The cost of the new program and the format will be very similar to our previous classes. To be sure, our program will follow BSA guidelines for training and will be designed especially for mature teenagers! Most Scouters agree that adult supervision is the single most important requirement for any BSA aquatic activity. Qualified Adult Supervision is especially important for all afloat activities. The Sam Houston Area Council, in accordance with safety policies established by our National Organization, requires that all aquatic and afloat activities be conducted in accordance with the current requirements listed in The Guide to Safe Scouting. Supplemental adult training is no longer required. Many BSA Chartering Partners required additional adult training for Unit canoeing activities. Some continue to recommend or require training for both youth and adults but the training has become very difficult to find. There is still an active interest in a introductory canoe safety training program for adults as well as a program for Scouts that goes beyond BSA Merit Badge. The American Red Cross no longer offers canoe training though. Excellent adult level training is still available through other training agencies and adult programs are still available through programs sponsored by The American Canoe Association. Currently, there is no program designed especially for youth training currently available. Watch For A New Program for Scouts and Scouters Coming Fall 2015!